Buccaneers Aboard the H.M.S. Aletheia. Chris mans the helm of our ship, oversees our crew, and records our flagship production Fighting for the Faith. When there is time, he occasionally writes for the Captain's Log and he helps “curate” the Museum of Idolatry. Chris launched both Pirate Christian Radio and Fighting for the Faith in 2008, after doing apologetics ministry for over a decade. He holds both a Bachelor of Religious Studies & Biblical Languages from Concordia University Irvine and an MBA from Pepperdine University. Chris is pursuing a Master of Theological Studies from American Lutheran Theological Seminary and he serves as Pastor of Kongsvinger Lutheran Church, a congregation of The American Association of Lutheran Churches in Minnesota. He and Barb have three grown children. Barb has been married to Chris since 1988 and as his “First Mate” she helps our Captain do everything he does by helping to manage our ship, assisting with email and phone communications, and primarily protecting our Captain’s time and schedule so he is able to study, teach, preach, and produce Fighting for the Faith. Chris and Barb were High School sweethearts in the early 80s and they did their undergraduate studies together in California. Barb holds a Bachelor of English from Concordia University Irvine and she was a “Domestic Engineer” for almost three decades, raising three children who are now all grown and serving with her aboard our ship. She also helps to care for the members of Kongsvinger Lutheran Church in Oslo, Minnesota. Josh is currently a Film Production Major at Huntington University and has been producing, editing, writing, and voicing our beloved Max Holiday’s Bird Cage Theatre since July 2008. Before college, he spent four years serving in the United States Submarine Force as a Communications Specialist aboard the U.S.S. Henry M. Jackson SSBN-730. He was baptized as a toddler and was raised as a Confessional Lutheran under the tutelage of our Captain along with Pastor William Cwirla and Pastor Ron Hodel. His passion is to bring good storytelling and filmmaking into the Christian community, produced from a truly biblical perspective that is free of the cliches and heresies which plague many of today’s Christian productions. Christina manages and maintains the weekly broadcast schedule for Pirate Christian Radio, every Monday through Friday. She is one of our “curators” for the Museum of Idolatry and is a co-producer and occasional voice talent for the Max Holiday sketches, featured on our Fighting for the Faith podcast. As the oldest daughter of our Captain and First Mate, Christina has been in the Crow’s Nest and helping to sail our pirate ship since it was first launched in 2008. She studied at Ivy Tech Community College of Indiana and enjoys writing, drawing, cake decorating, and being a mother. Baptized as a toddler, Christina is a member of Kongsvinger Lutheran Church in Oslo, Minnesota, with our crew. Faith is the youngest member of our crew and is currently working toward an education degree at the University of North Dakota. She is involved with a number of different tasks aboard our ship, helping to keep the deck clean, the sails trimmed, the wicks lit, and the Mess Hall stocked and ready to feed our hungry sailors. Faith assists our Captain and First Mate in many of the day-to-day operations of our sailing vessel. She also lends her creative gifts and voice talent (as Mildred) to the writing and production of our Max Holiday sketches, featured on our Fighting for the Faith podcast. As the 1st “cradle-Lutheran” on our crew, Faith loves listening to Pirate Christian Radio and is a member of Kongsvinger Lutheran Church with her family. Amy reports on modern day apostasy as our Berean Examiner. She is a news writer and researcher who also created Naomi’s Table for women and Berean Research to help Christians. She and her husband live on a hobby farm and have two grown children. Ever since our Captain and First Mate launched the H.M.S. Aletheia “to contend for the faith that was once for all delivered to the saints” (Jude 1:3), our sailing vessel has been and will continue to be a “listener-supported” ministry. This means we depend upon your ongoing gifts and generosity in order to bring Christ-Centered and Cross-Focused Talk Radio to you and to the world. 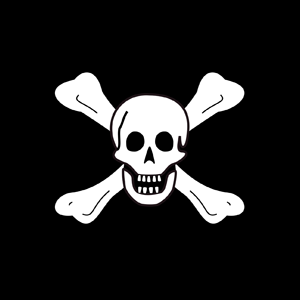 If you don't already support us, we welcome you to “join our crew” by selecting a Pirate Crew Membership Rank. Every new Crew Member will receive a few complimentary gifts as an expression of our appreciation. Whether you decide to become a Powder Monkey, Gunner's Mate, Master Gunner, or Quartermaster, we thank you for your continuous support!